Service:I prefer the Reward Basis. You pay me what it's worth to you and what you can afford. There will be a $25 gas charge to cover my expenses to get to you and back if the item isn't found. I will search for lost rings & jewelry and any other metal object at Parks, national parks you will need permission, yards, anywhere metal detector are allowed. I have lived in Buncombe County 20+ years. 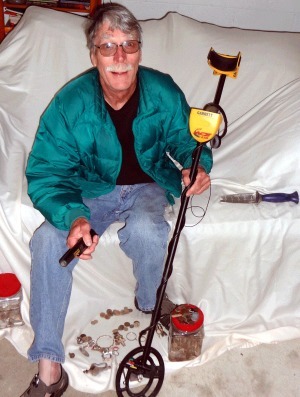 As a disabled veteran, I have found metal detecting to be a healthy hobbie for 10 years. While detecting I have found all types of jewelery, many coins and to many to list metal objects.